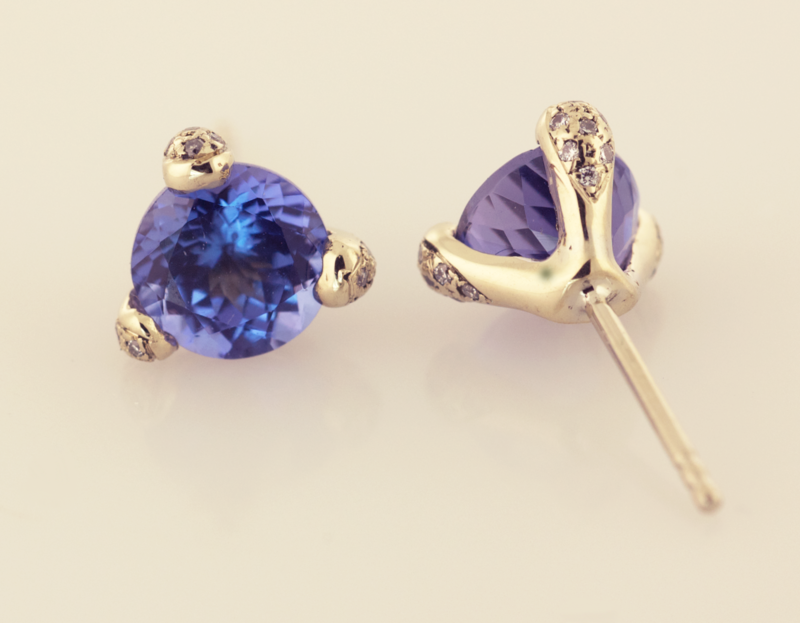 14KT yellow gold earrings set with two round cut tanzanites each weighting 1.57cts. with .24ct. 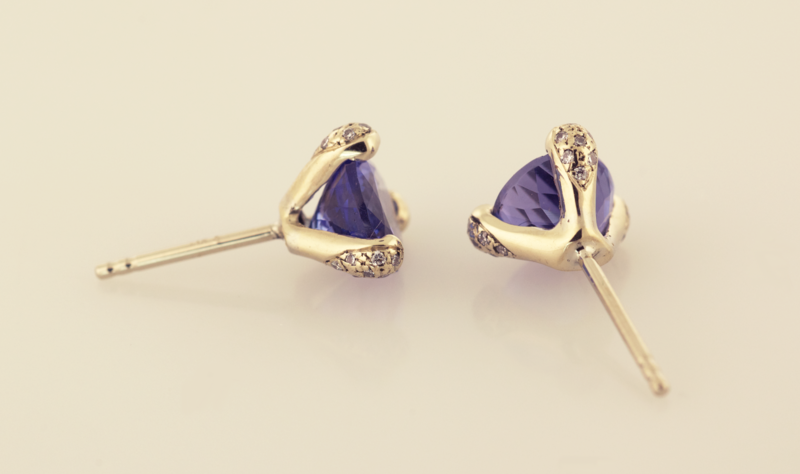 diamond pavé prongs.